The South Terminal Complex, when fully complete, will double the size of the existing terminal and accommodate more than 40 million passengers a year. 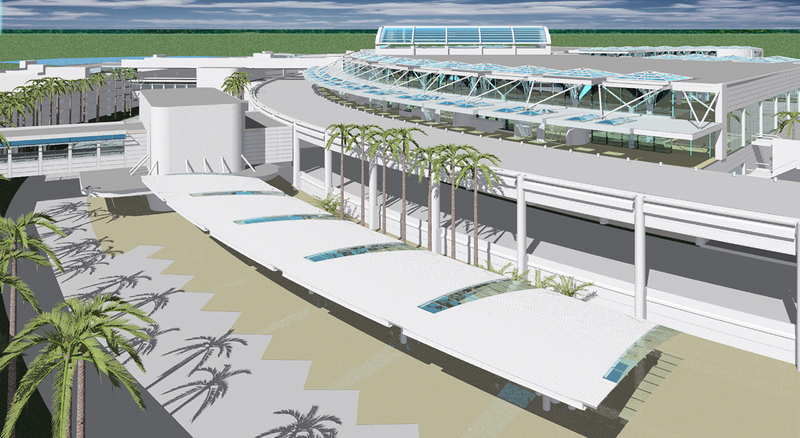 The addition of the South Terminal complex will allow Orlando International Airport’s Terminal Complex to serve more than 70 million passengers annually. It will provide for both international and domestic travel and will be completed in phases. 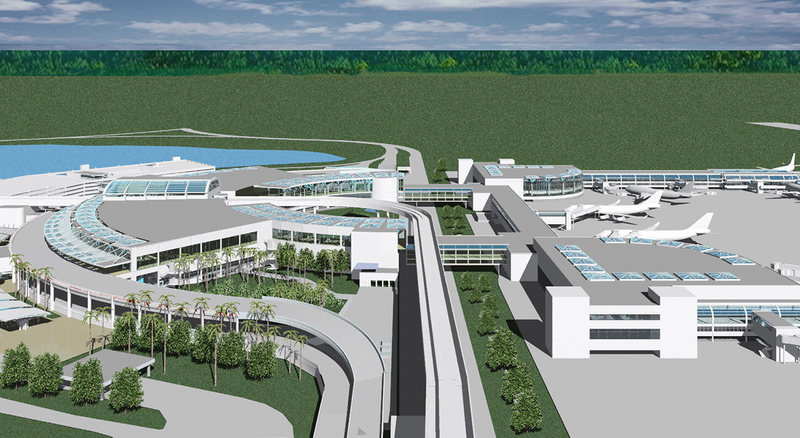 The terminal will include provisions for rail service in the East Expansion of the South Terminal. The complex will be composed of two unit terminals with centralized parking. 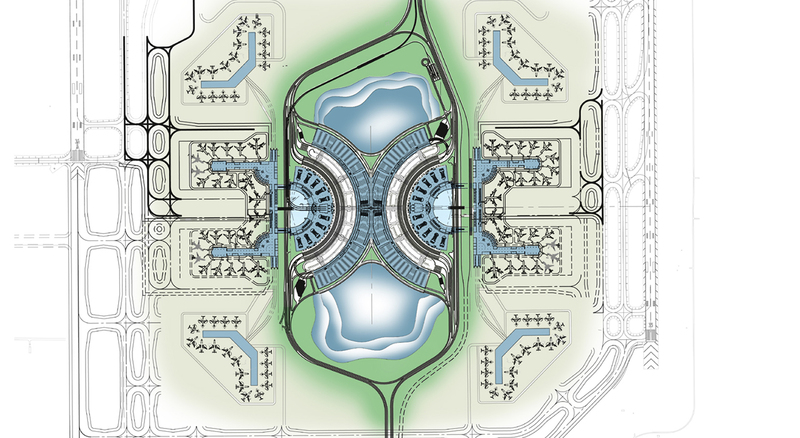 The through road system, which connects to the existing North Terminal and to expressways on the north and south sides, flows between the landside and airside terminals, which are connected by sky bridges. Phase I of the terminal will provide an additional 13 international gates and a Federal Inspection Station facility for processing 2,000 passengers per hour. Phase II will provide an additional 11 intermodal gates allowing international processing to increase to 3,000 passengers per hour.